Friday, April 5, 2019 from 8:00 a.m. – 6:00 p.m. Please direct any comments or questions to us via email. 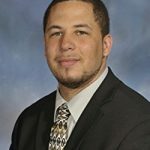 We are pleased to announce the The 12th Asa G. Hilliard III and Barbara A. Sizemore Research Course on African Americans and Education that will take place on Friday, April 5, 2019 from 8:00 a.m. – 6:00 p.m. at the 2019 Annual Meeting of the American Educational Research Association in Toronto, Canada. 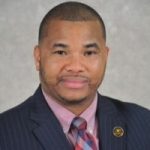 The 12th Asa G. Hilliard III and Barbara A. Sizemore Research Course on African Americans and Education is sponsored by Wisconsin’s Equity & Inclusion Laboratory (Wei LAB), Urban Education Collaborative, Bell National Resource Center on the African American Male, and Center for the Study of Regional Competitiveness in Science and Technology. Special thank you to Drs. Henry Frierson, University of Florida, and Charles Rankin, Kansas State University for their personal donations. The course was co-founded by Dr. Jerlando F. L. Jackson and Dr. Lamont A. Flowers, Distinguished Professor of Educational Leadership and Executive Director of the Charles H. Houston Center for the Study of the Black Experience in Education at Clemson University.